I think when we look back on our lives, some day far off in the future, we’re going to realise that one of the biggest things that changed during this generation was the perception of girls/women in the workplace, and specifically, in careers like medicine, science, mathematics, engineering. While my personal interest in those subjects is … lacking… it’s something that I’m incredibly grateful for. I love knowing that if they choose it, it’s an option that’s even more available to my daughters than it was to me. No, I’m not. But I struggled so much with math in the last two years of school and I know beyond a doubt that it wasn’t a problem with me, but with my teacher. I passed every mock test, knew all the answers at my private math tutor, but sat down in front of an exam, and I’d make myself sick. Honestly, I ground my teeth so badly, I developed abscesses and missed one of my final exams! And the teacher in question? I remember distinctly a comment about how maths just wasn’t really for girls. Was I going to be a chemical engineer, a doctor (my younger brother is both those things – proud big sister that I am!) before that comment? No, probably not. Actually, definitely not. But did failing miserably at math affect my chances of university entrance? Yes, it did. I passed entrance with age exemption, eventually. Did it affect my confidence? Certainly did. Do I think I can ‘do math’? No. Till I actually do it, then I’m not so bad. So, I think that looking back on my life, I think the changed attitude to women in science will be one of the most wonderful changes of this generation. And it’s with that in mind that I love things like British Science Week. I think it’s incredible that we can encourage 4 year olds in fun science. I think it’s wonderful that a 6 year old wants a ‘science doll’ rather than a barbie doll. And I think it’s brilliant that these resources are available to all of us. Here are a few resources we’ve used for science with kids, not only for science week, but for ‘The Sciences’ in all our weeks. The British Science Week website is clearly the go-to for all things Science Week. I mean, it’s in the name! Not only is there a What’s On guide where you can add your own local activities, but there are also downloadable promotional posters and activity packs available too. They’ve pretty much done the hard work for you! I think this is epic, if it takes off properly. ScienceLive is basically a database of all scientific events taking place, where you can not only search in your area, but sign up for alerts too, so if there’s an event in your area, you’ll be notified. STEM – Science, Technology, Engineering, Math – is a rising buzzword these days. I seem to run into it everywhere. The Stem.org website has some fantastic resources for primary and secondary students, and you can register as a home educator too, so you don’t have to add an organisation. You select the areas you’re interested in, and for which ages, and they will give you activity packs to download. You’ll have to gather materials and in some cases buy a few bits, but this is pretty much the Crème de la Crème of science for kids. Science takes different forms, and one that’s certainly sparked Ameli’s interest in all thing science is the show Wildcrats (available on Netflix UK) and the Netflix original Project MC2 – or as she calls them, Science Girls. We’ve had two of these MC2 dolls now, and they are great for science-themed role play! Each doll comes with equipment for experiments too, which is just the icing on the cake. Project Mc2 is a team of four super-smart and cool girls who use their love of science and their spy skills as they go on missions for secret organization, NOV8 (that’s ‘innovate’). We reviewed Adrienne here, and this week we’ve been playing with McKeyla and her lava lamp*. I didn’t know which effervescent tablets to use for the lava lamp, so grabbed some Sterident (denture cleaner) while I was buying toothpaste. It worked really well in the lava lamp and we had a great show at bedtime, what with the LED lighting and all. It was in the morning that the greatest surprise came, however. The lava lamp was clear! The Sterident had removed the dark purple food colouring from the water! That was very entertaining science for us all. There are other great science shows too (Nina and the Neurons, for example) but these are the two we watch the most. We bought it for our 6 year old for Christmas and it’s full of practical science with stuff from around the house in many instances. The last one we did included a coat hanger, balloon, string, and so on. We don’t do one a day, but dip in and out as interest hits. The ‘categories’ are Astronomy, Biology, Chemistry, Geology and Geography, Physics and Weather and stretch from KS1 to whenever, since you can take the ‘why’ as deep as you like. Used alongside Google (for explanations and reasons) it’s a fantastic resource for anyone who doesn’t want to spend hours on Pinterest for each experiment you do. This week we were in Waitrose where they had a balloon display. There were 10 air filled balloons weighing down one helium filled balloon (maybe there was something else weighing it down too, but we couldn’t see it!) Ameli started telling me why the helium balloons weren’t floating away – because air is heavier than helium, as proven by our experiment last week! I was SO impressed that she not only remembered, but could draw on the experiment for a real life example. So impressed. 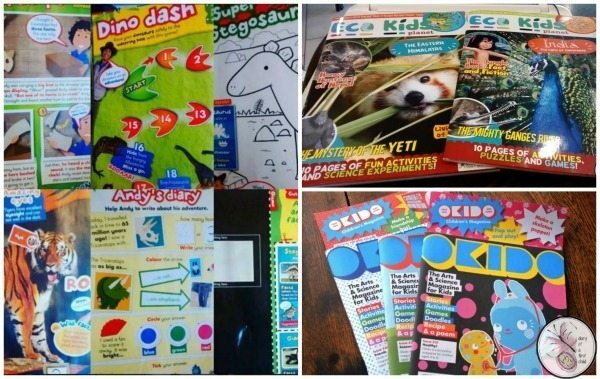 We currently receive Eco Kids Planet Magazine, Okido Magazine and Andy’s Amazing Adventures. I’ve recently also found a new one I haven’t had a chance to order just yet, called Whizz Pop Bang. Each of these magazines deals with a different aspect of science so getting the kids involved and learning in an informal way is not only fun and entertaining, but so empowering too. Love these ideas, especially the fourth point on ‘Experiments’ and its ‘365 Awesome Science Experiments’ book. Since I’m a homeschooling mum, I’m always on the lookout for useful hands-on experiments which can be done at home with my kids, for instance in the kitchen, like the typical egg in a bottle experiment and the invisible ink messages (using a lemon) one. Found these online in the science experiments section here. However, apart from experiments, could you suggest some resource which could give me useful science worksheets I could use for my kids? They are 8 years and 11 years old respectively, if that helps. Thanks in advance though. Hi Angel, unfortunately my field of experience extends up to 6 years 8 months! I have no idea for older kids! 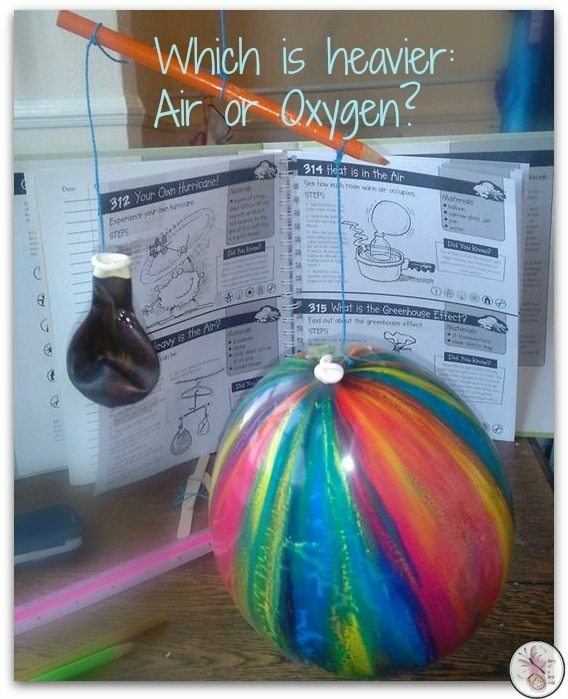 Something like the 365 Awesome Science Experiments is good though as the experiment is just a starting point really and you can then adapt the learning around it to the age of the child.